I had time this past weekend to go to an impromptu dance at The Rookery, a floating club on Nouveau. 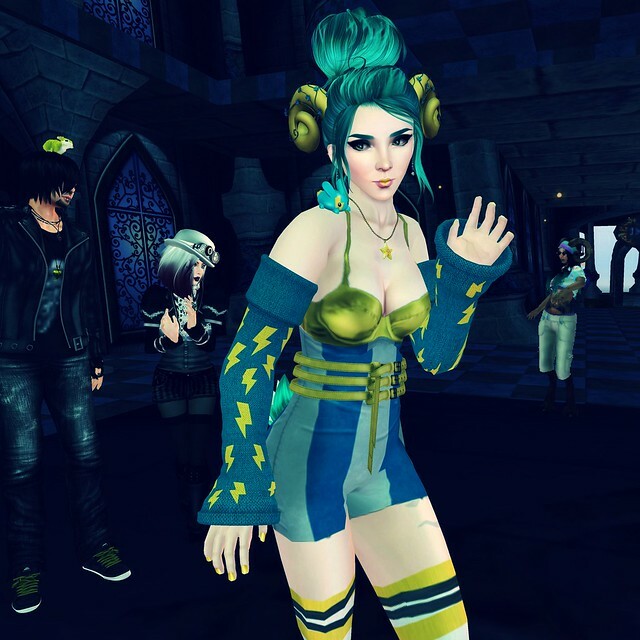 hyasynth was dancing there, and her outfit was so cute that I had to snap it. Her armwarmers are the gacha items she made for this round of Arcade, and the horns are from Arcade too. The hair is from Clawtooth for Collabor88. (And what is that shoulder bunny I see?) Such a great mix of fairy-like and cute!